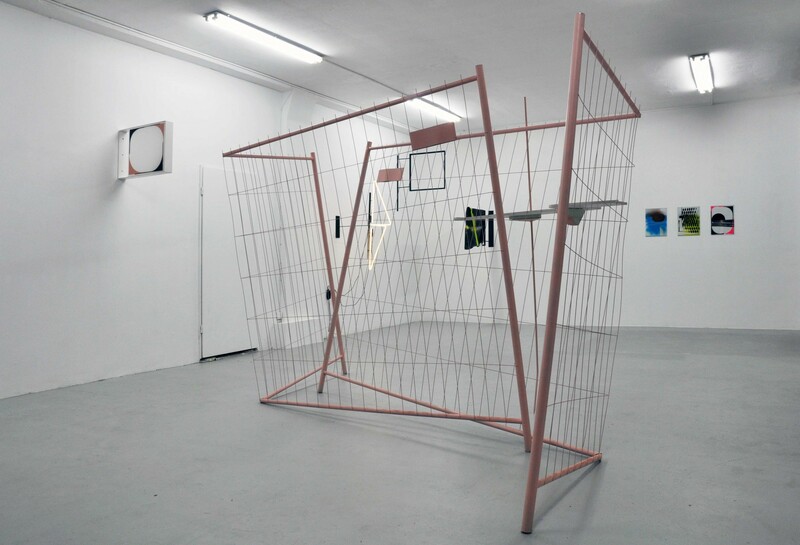 In her current show at nationalmuseum Stef Heidhues exhibits three groups of work: A spatial intervention consisting of two fences and a wooden board, placed in the space as a bar as well as a barrier, obstructing and structuring the view onto the walls and the works upon them by means of overlapping grids; several empty frames mounted to the walls, weathered and corroded signs in which the promotional message is absent and that thus, without information and somewhat forsaken, create new spaces with their abstract pattern – they are part of the series ‘Space Takers Space Makers’, which the exhibition takes its name from; and finally several glass works that have been sealed with spray paint, tape and adhesive foil in multiple layers. 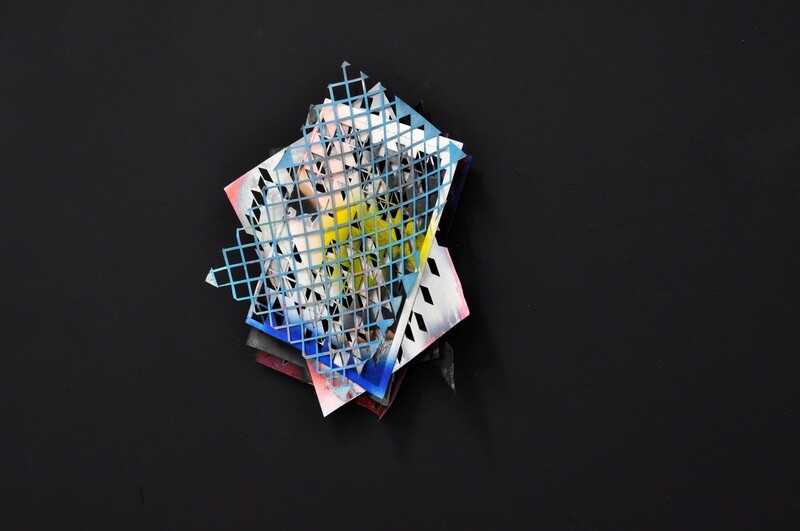 Stef Heidhues often reduces or abstracts existing elements and objects. Her work thus implies a rational procedure, and it is therefore reasonable to assume that showing the formal essence of these objects, by means of reduction, is what is pursued. In addition, the signs for instance look like modified industrial ready-mades. After a closer look, it becomes clear that both observations are incorrect. The ready-mades turn out to be carefully crafted pseudo-functional constructions, in which even the corrosion has been added purposefully to lend these ‘fake ready-mades’ their credibility. 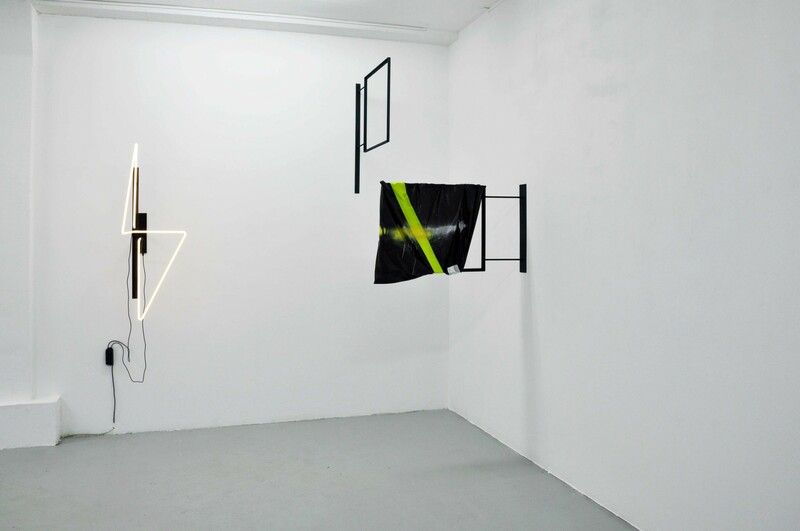 Heidhues’ poised objects are in fact delicately positioned in a realm between cool functionality and cheekily associative narrative structures. This ambiguity is what makes them so appealing. According to Heidhues it is not her intention to show an object as such, nor to show its essence. What is rather pursued, is a situation in which through specifically created lacunae questions are elicited, and thought is thus as it were already incorporated into the work. 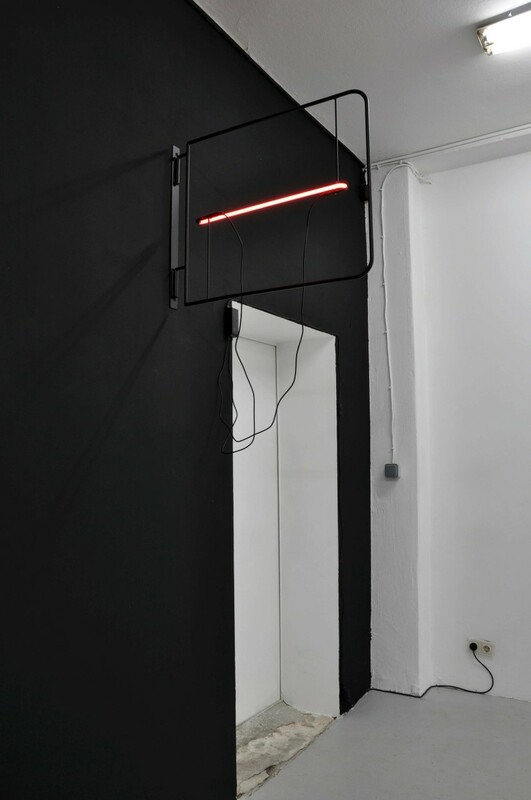 These objects and situations are like after-thoughts¹ based on the memory thereof, and the viewer is, due to the refusal to provide more information, accorded an active role in this thinking process. The main element (the sign) is not reduced – it is eliminated in its entirety. A kind of hermetic self-referential system ensues; by leaving out a crucial element, however, what arises is not emptiness²: the result is a space that is in fact more meaningful than if it were filled in. For Stef Heidhues the negative or blank space is a counter proposition to the overwhelming flow of images and messages, the creation of desires, and a plea not to give in to defining oneself solely as a consumer. It is, ideally, an antidote to the widening scope of information, its flattening (quick information, and but little of it concerning many things) which lets attention span and depth, as well as the willingness to engage, to take time in which one is offered nothing, fall by the wayside. 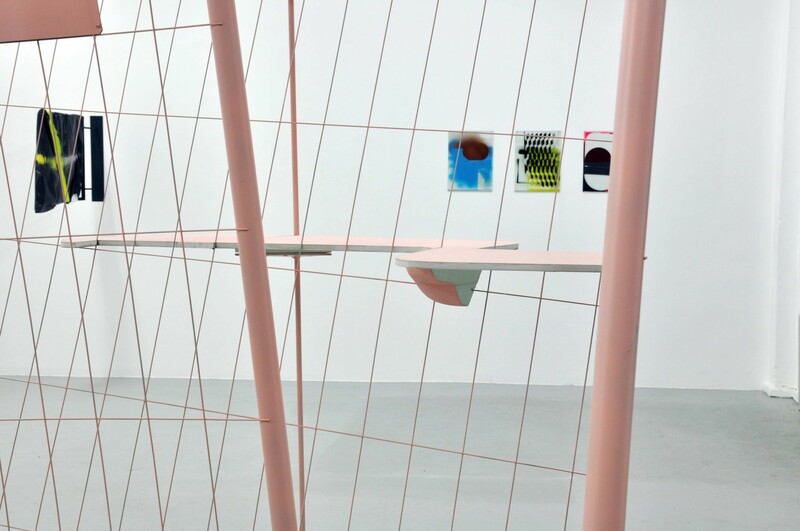 It is then not surprising that Heidhues’ objects retain some of the characteristic sensibilities of popular culture, since this is what she, although in an oppositional vein, is reacting to. 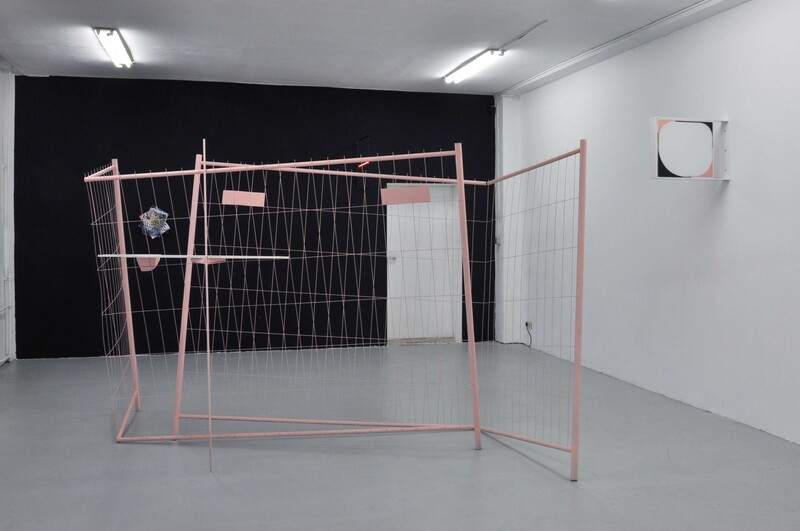 The ‘bar counter’ on the pink fence is, once again, empty – but the glass is metaphorically at least half full, no: perhaps empty after all, as its smartly crafted allusion to a bar can be seen only just enough, amongst the hybrid references to building sites and national borders, to frustrate the viewer. 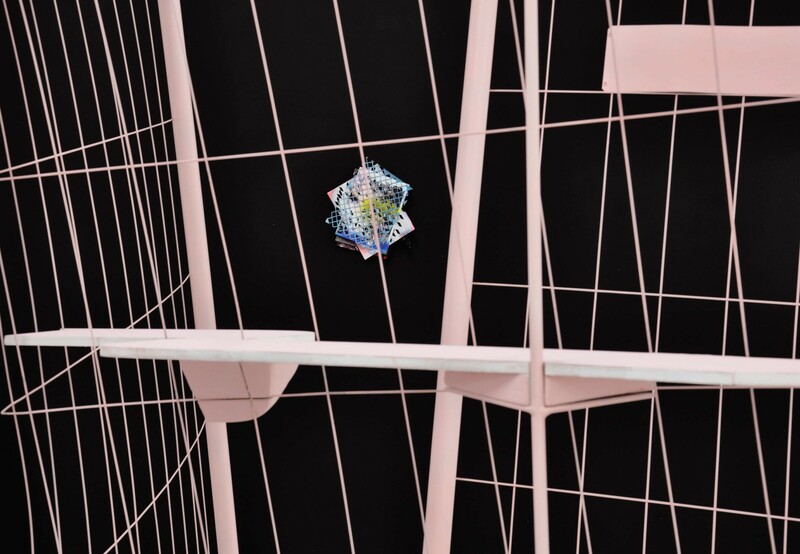 Heidhues indicates that what she intends to offer to the viewer is a possibility, perhaps a utopian horizon, rather than intruding upon him/her with claims and clear suggestions. This is done with cheeky composure, articulating a space and then leaving one slightly stranded – in freedom but perhaps also in limbo.